Should I go to vet school? Should I go to vet school? Where? When? 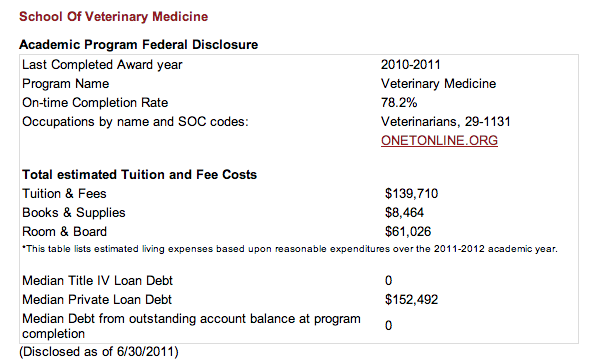 Answering these questions for the kids in the practices where I worked led me to put together these tuition sheets showing publicly for the first time, how much it costs start to finish to obtain a DVM in North America. Shameless plug- this fall's update will include the EU/AU/NZ schools! This set of spreadsheets has now gotten over 32,000 views on SDN, The Student Doctor Network, where you can also read this interview. So, if the economics are ugly and the job prospects are dismal- how can the amount of time, effort and money it takes to get into and through vet school possibly be justified? Veterinary medicine is, and to me always will be, the most wonderful possible marriage of art and science. People and animals are a magic combination, one that weaves a rich, strong and beautiful tapestry that stretches back to the cave paintings at Lascaux, and will stretch as far forward. The next twenty years will be hard, don't get me wrong, hard for all of us in veterinary medicine. Ultimately both we and the society we serve will be the better for it. 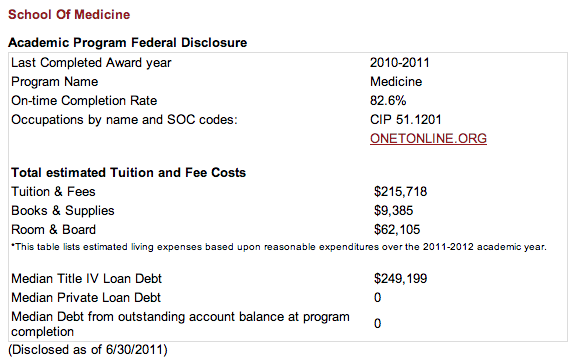 A report on what ought to happen with student financial aid. 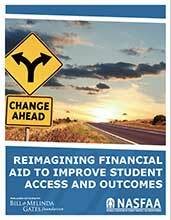 with the goal of advancing key policy issues facing student aid." "Policy Consideration: Provide predictive wage information before students enroll to decrease indebtedness and improve student outcomes." YES. We should be telling prevets what they can expect to make. *I* think it makes sense to use the real time data from each school's graduate cohort by year, as available under the Gainful Employment system. "The lack of practical tools available to schools to effectively counsel or deter unneeded borrowing can lead to ...over-borrowing relative to their degree. Policy Consideration: Provide schools with the authority to limit borrowing..."
YES. Schools should control this. Right now aid officers at the colleges have their hands tied- a student can borrow the federal max because our culture tells them it's ok, even if it's not a sound financial decision in the long run. Understandably, the schools then lean on this 'easy' money to sustain revenue in the face of decreased state allocations, diminished income streams from investments and donations and tighter supplies of research funding. Out of self interest, schools aren't going to impose limits so draconian that students can't keep body and soul together while completing their degree.